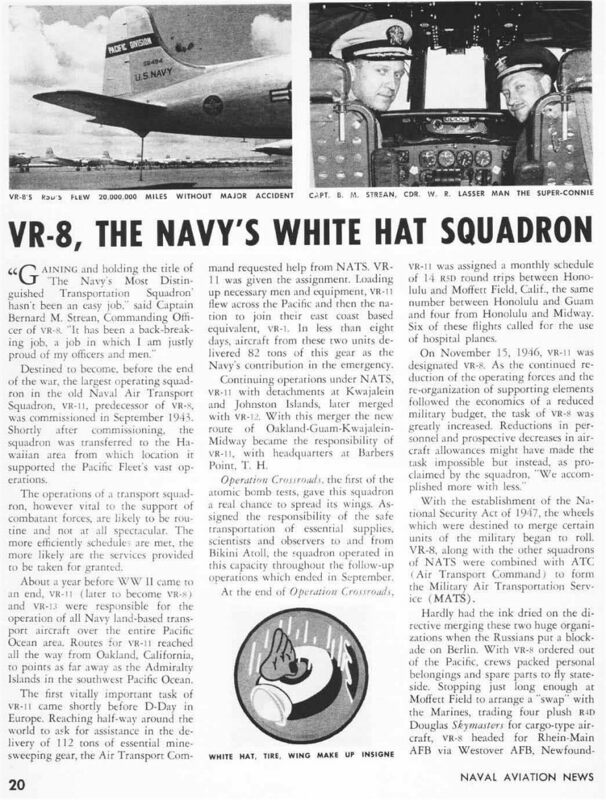 Naval Air Transport Squadron Eight (VR-8) was originally established at NAS Patuxent River, Maryland in October 1943. 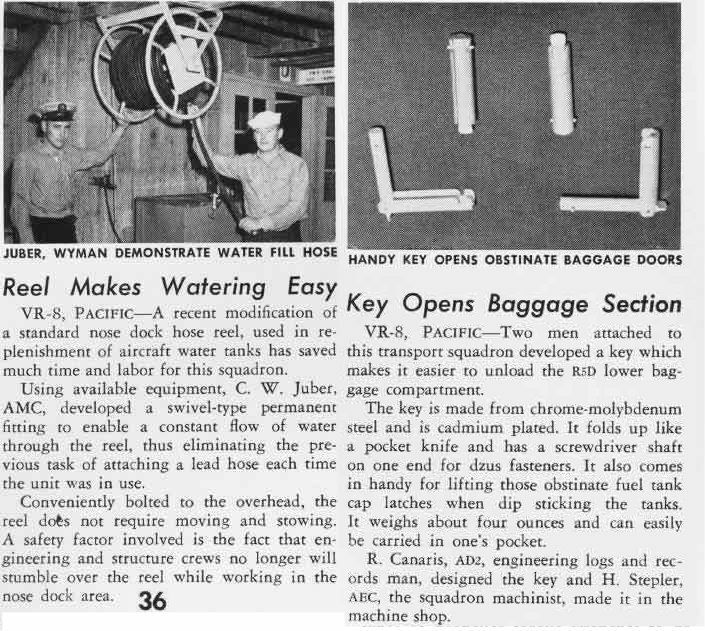 In November 1944 it began cargo and mail service to San Juan PR and Bermuda WI. 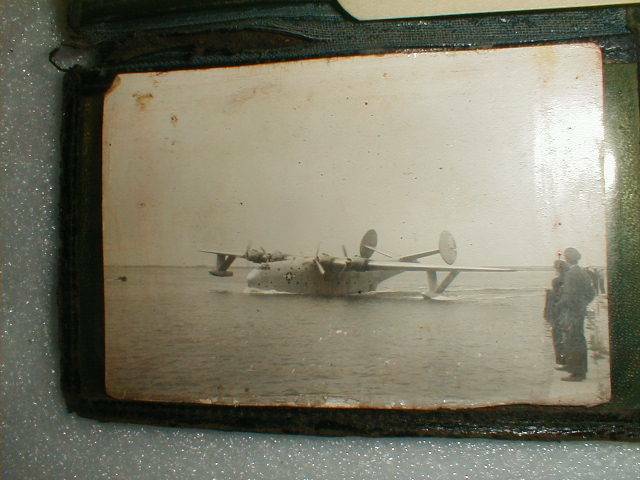 It maintained a daily schedule with the Martin PBM Mariner aircraft. 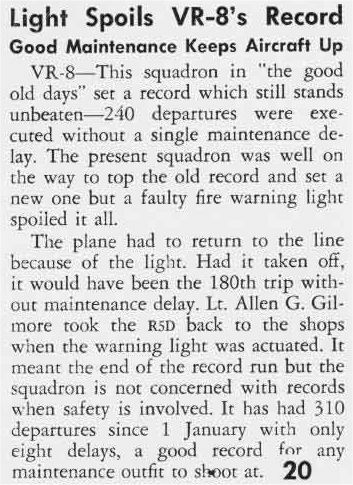 Few records exits for this time period and the squadron was disestablished in June 1946. 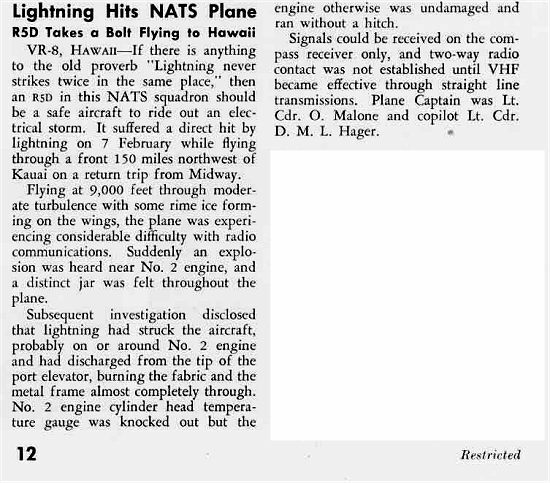 After the establishment of VR-11 at NAS Oakland, California in September 1943 it was moved to NAF Honolulu shortly thereafter and although the chronology is rather cloudy, sometime during the 1943-1945 period a detachment in the Pacific was designated VR-8 to support the Naval Air Transport activity on several islands including Guam. 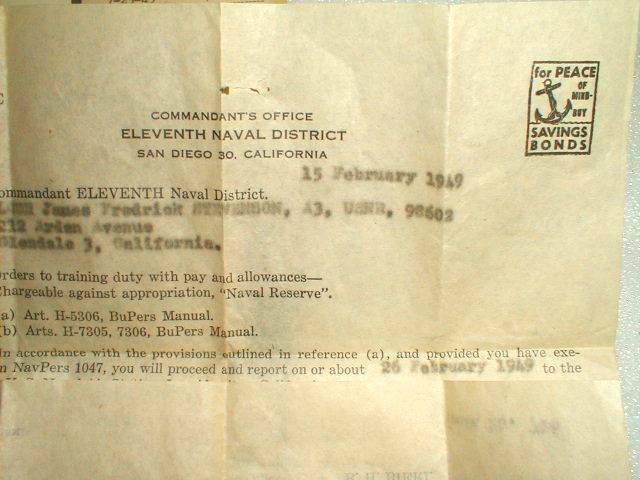 In November of 1946, these detachments and VR-11 were combined and the VR-8 designation affixed. The assumed the maintenance and suppoirt of Naval Air Transport units transiting the Pacific area, including the Martin Mars JRM flying from Keehi Lagoon in Hawaii. 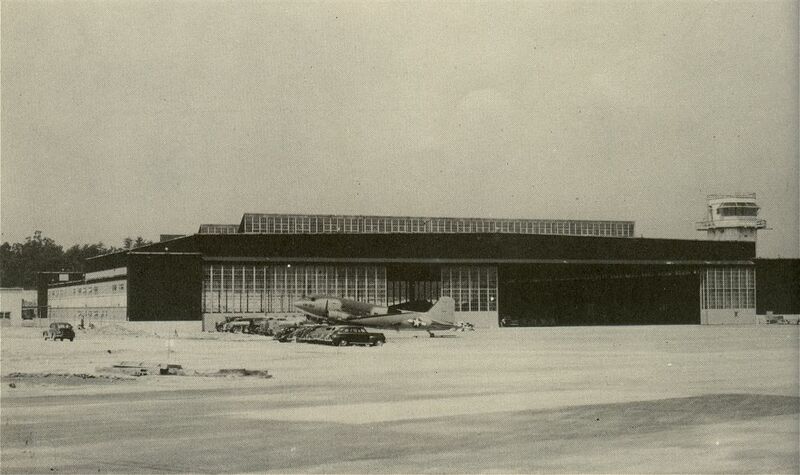 With the advent of the Douglas R5D Skymaster into the Naval Air Transport Service, fewer fueling stops were required to transit the Pacific and VR-8 moved to Hickam AFB with a detachment still supporting the JRM at Keehi Lagoon until it was withdrawn from service. 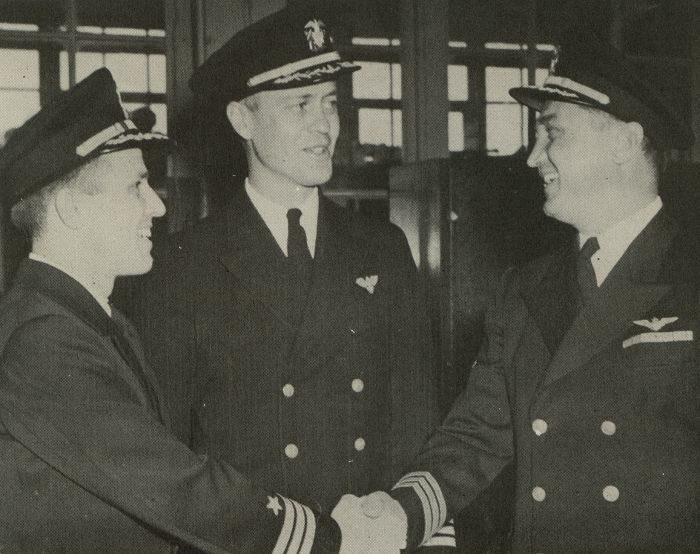 In January 1948 the squadron was assigned to the Military Air Transport Service along with VR-3 and VR-6. 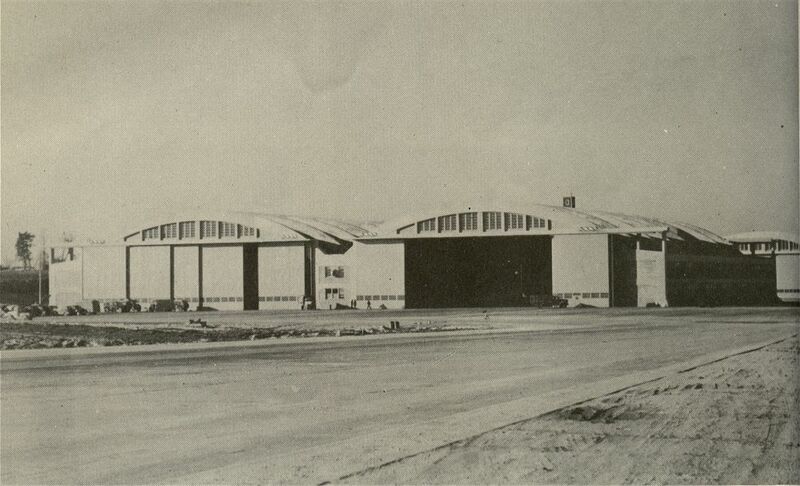 This unified command consisted of all the USAF Air Transport Command squadron and the three Navy units. 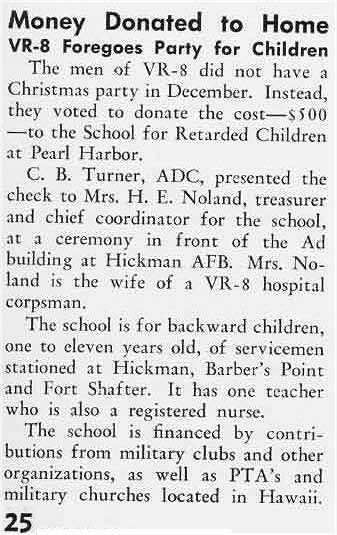 This was followed in June 1948 by a move to Germany to supplement the Air Force in Operation Vittles supplying vital needs to the citizens of Berlin during the Russian Blockade. 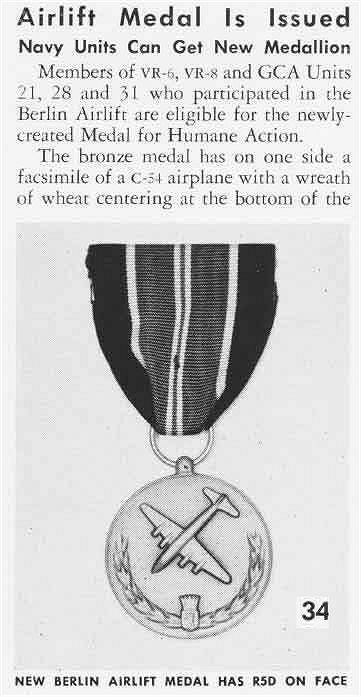 It was again joined by VR-6 operating into Berlin, with VR-3 operating between the U.S. and the allied controlled area of Germany. 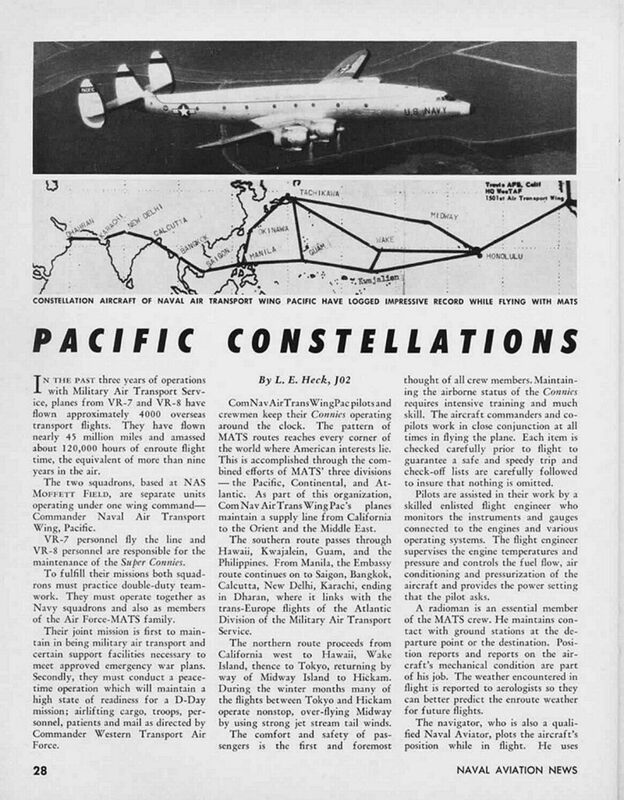 Following the lifting of the Blockade the squadron returned to it's Pacific home at Hickam AFB and resumed its scheduled route between California and the far reaches of the Pacific. 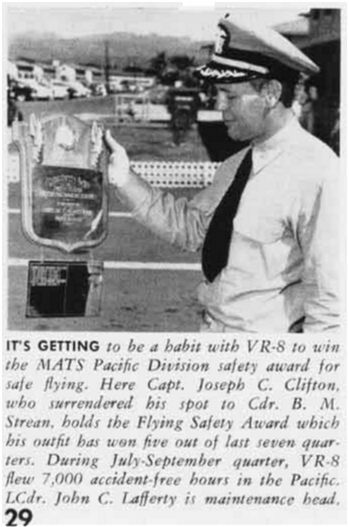 In 1957 during the reorganization of MATS, VR-8 moved to NAS Moffett Field, California along with VR-7 under command of the newly established Naval Air Transport Wing Pacific Division MATS. 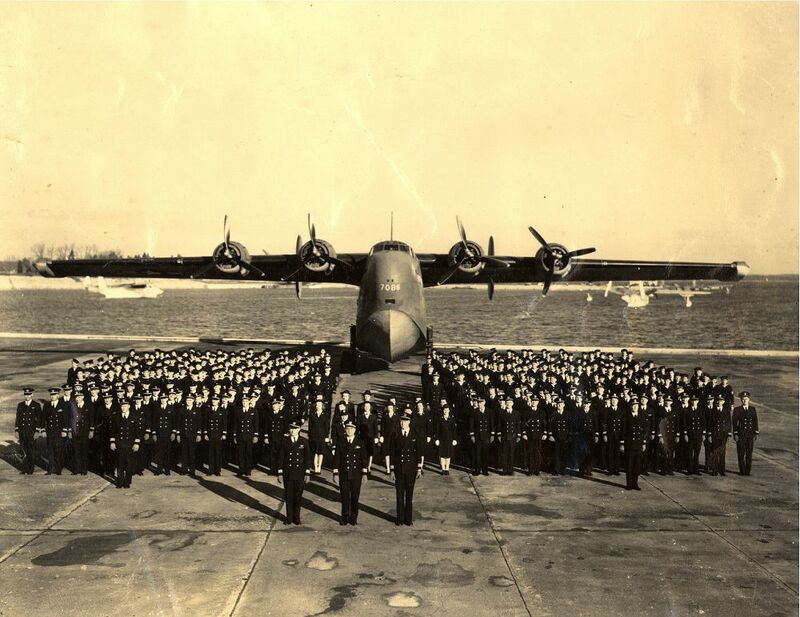 At this time VR-8 was assigned custody of all aircraft from both squadrons and sole responsiblity for their maintenance. 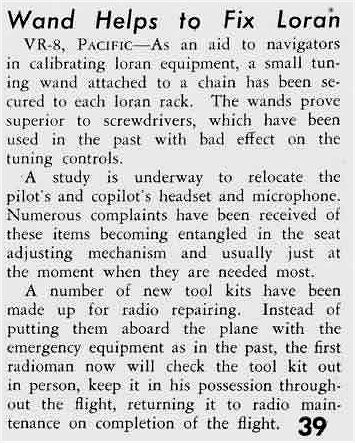 Although having a cadre of flight personnel it bacame the "Maintenance Squadron" of the Wing. 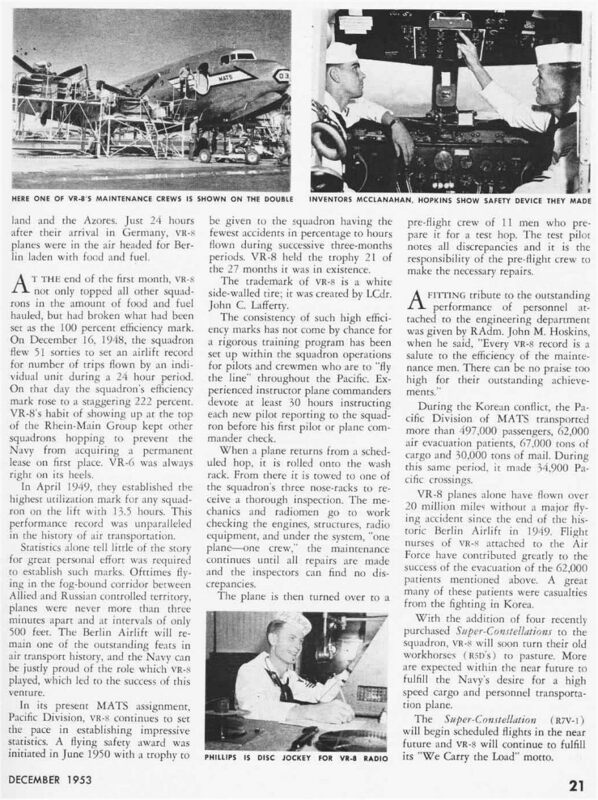 VR-7 operating as the "Operational Squadron". 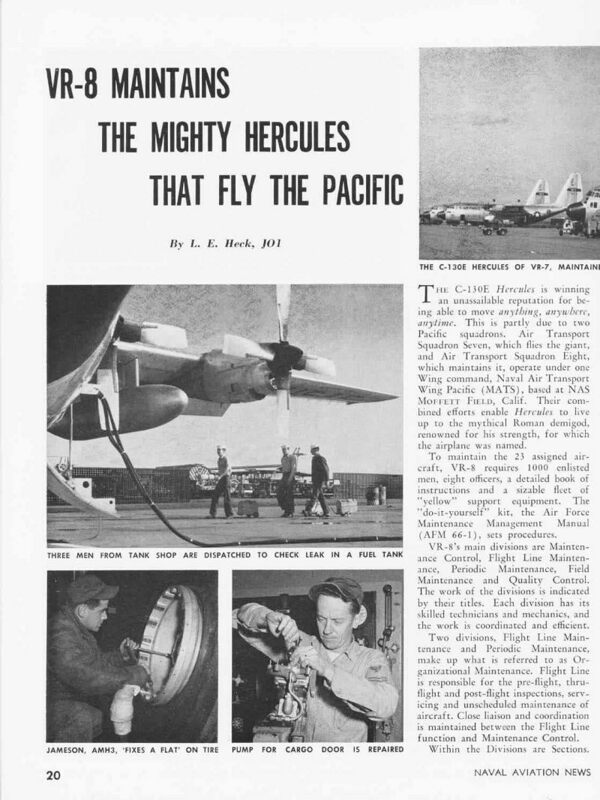 In early 1963 the squadron began the enormous task of retireing the Super Constellation and accepting the new Hercules aircraft. 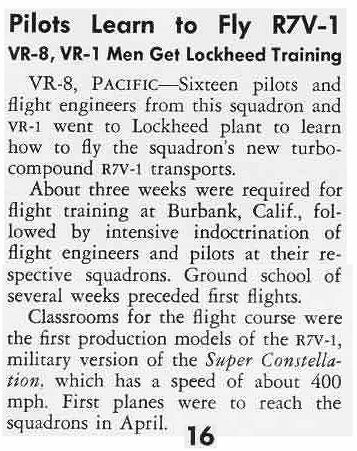 This took place simultaneously until all R7V-1 aircraft had been displaced. 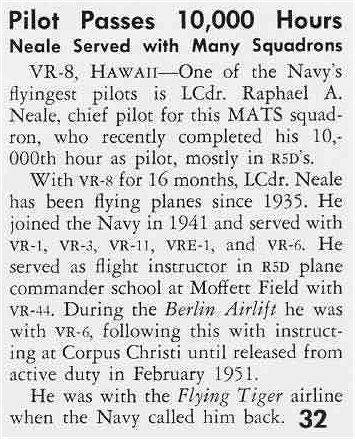 In January 1967 this proud group of dedicated men sadly dis-established a truely memorable portion of Naval Aviation history. 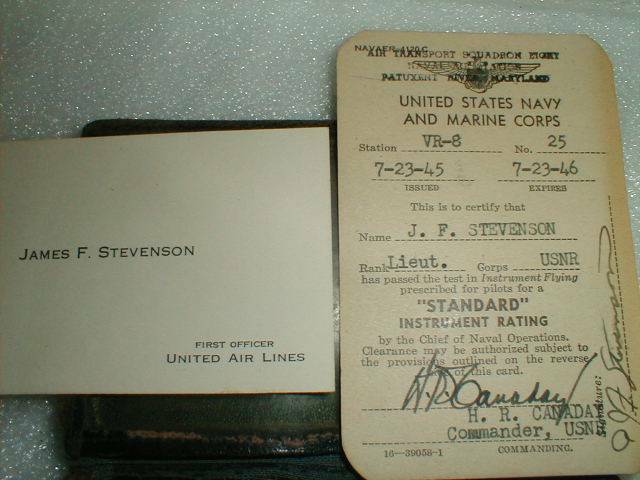 During it"s two life times its aircraft and men had served and flown over two major oceans, with various types of aircraft - flying and maintaining enviable records wherever it was called upon to serve. 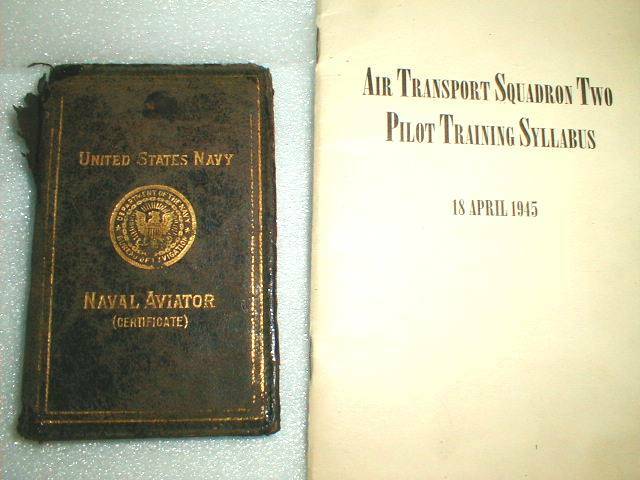 A well deserved spot in Naval Aviation history should be opened for the squadron whose motto was "We Carry The Load". 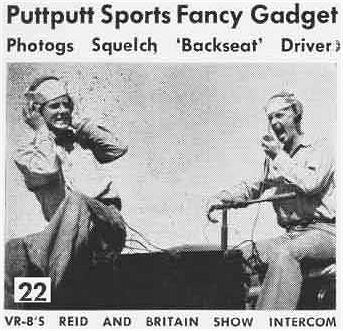 Can you identify the Month and or Year?